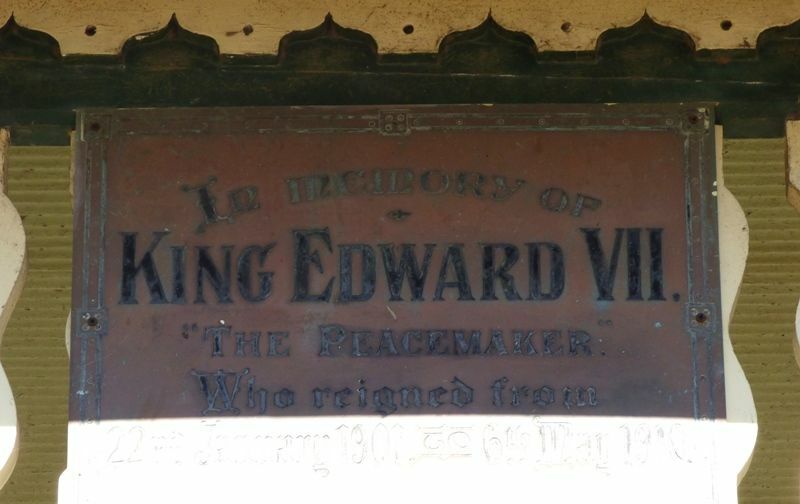 A plaque on the rotunda commemorates King Edward VII. Edward VII (9 November 1841 – 6 May 1910) was King of the United Kingdom and the British Dominions and Emperor of India from 22 January 1901 until his death in 1910. In memory of King Edward VII.